Briggs and Stratton Chipper Shredder Parts: Jack's is your place! We have the Briggs and Stratton Chipper Shredder Parts you need, with fast shipping and great prices. For power equipment parts and accessories, think Jack's! If you can't find the replacement Briggs & Stratton Parts you need in the categories above, see All Briggs & Stratton Parts Here. 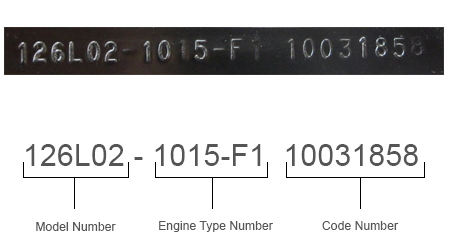 The model number system on a Briggs and Stratton engine includes a model number, an engine type number, and a code number that can be found on a metal plate attached to your engine or stamped directly on the engine.